Composite propeller design, as with all propeller design,is a blending of performance and durability. Piranha Propellers has utilised the latest in computer technology to match or exceed the reliability and performance of aluminum and stainless stell propellers. 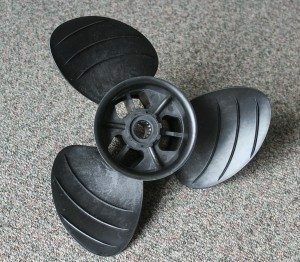 Piranha propellers composite material,has a tensile strength that is 15% stronger than die cast aluminum propellers.The impact absorption properties provide protection to your lower unit. Piranha propellers center hub uses a high grade 6061 T6 extruded aluminum core that is encapsulated.This hub is so durable that we have given it has a lifetime warranty. If you damage the hub in any way it will be replaced for free.